Condé Nast buys Pitchfork Media. 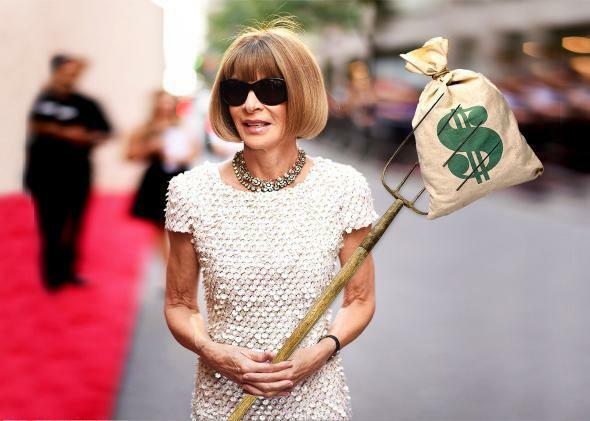 Anna Wintour and Pitchfork are now corporate buddies. Photo illustration by Juliana Jiménez. Photos by Andrew H. Walker/Getty Images for Tony Awards Productions and Thinkstock. In the early days of the online music publication Pitchfork—until sometime in 2007—the URL pitchfork.com actually took you to a website for a livestock exchange forum. The bygone pitchfork.com. 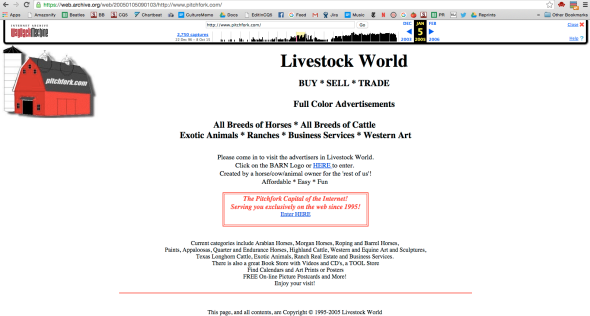 Livestock World! It gives Condé Nast a stand-alone music publication with a strong editorial voice, said Fred Santarpia, the company’s chief digital officer, who led the acquisition. It brings “a very passionate audience of millennial males into our roster,” he said. Pitchfork, he said, is profitable, and it boasts a thriving live events business, with events in Chicago and Paris, and robust video offerings — both vital and growing parts of the publishing business. He declined to say how much Condé Nast paid. Condé (which owns such titles as the New Yorker, Vogue, Wired, and GQ) has long had a, shall we say, mixed record online, treating the websites associated with their publications like second-rate backwaters long after most of the rest of the industry realized that there was nothing embarrassing about doing journalism on the Web. That’s gradually changed, though, as websites like the New Yorker now print big-name writers in online-only form; Condé Nast also bought Reddit, aka “the front page of the Internet,” in 2006. You can read Pitchfork’s announcement of the news here and a review of the Wrens’ classic 2003 album Meadowlands (which got a 9.5) here.